A shallow, medium-sized, rectangular wall-mount ceramic vessel featuring kiln dried ceramic construction, as well as an overflow. 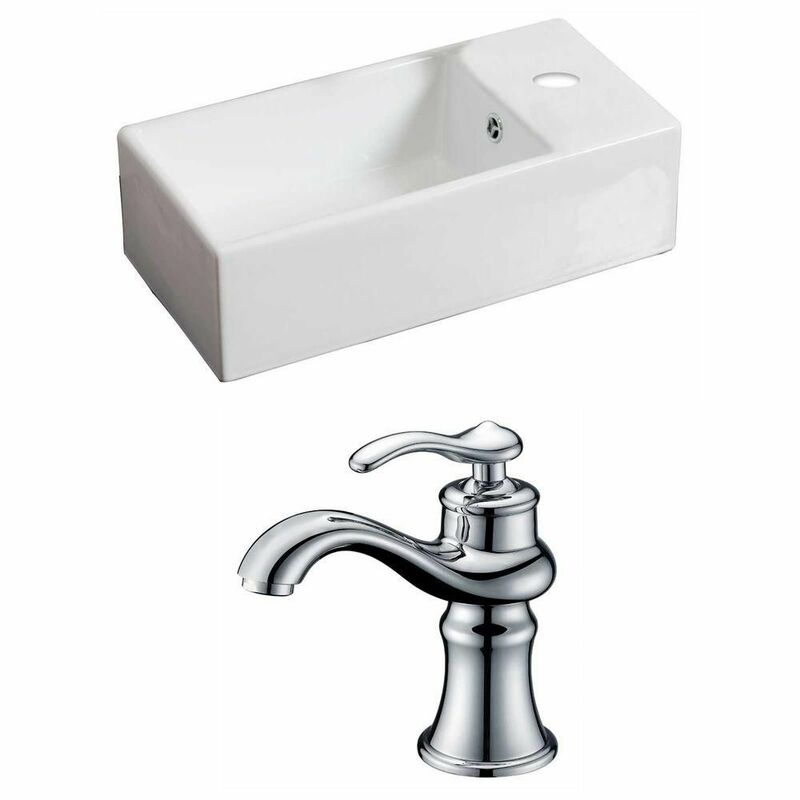 Double-fired to optimize durability, and predrilled to accommodate your single hole faucets. It measures 23 in. across, 17 in. from back to front, and 5 in. from top to bottom. Sports a premium white, stain-resistant glaze.